It’s the end of Season 4, and with great sorrow… we open what can only be described as a very special beer indeed. 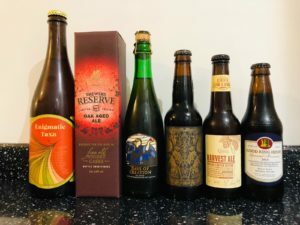 This week we tuck into Old Chimneys ‘Good King Henry Special Reserve 2011’, the highest rated beer on RateBeer.com and one that makes many a beer geek sweat. In the news is Britain Beer Day, Thornbridge’s Summer Tour and Brewdog’s latest bar (of course!). There’s also the final Instagram #PrizelessPrize of the season and an immense season-end roundup with clips from our trip to the Great British Beer Festival!